I have had a few requests to talk about my washing routine. So let’s start from the beginning! At home I use a bucket with a mesh bag. 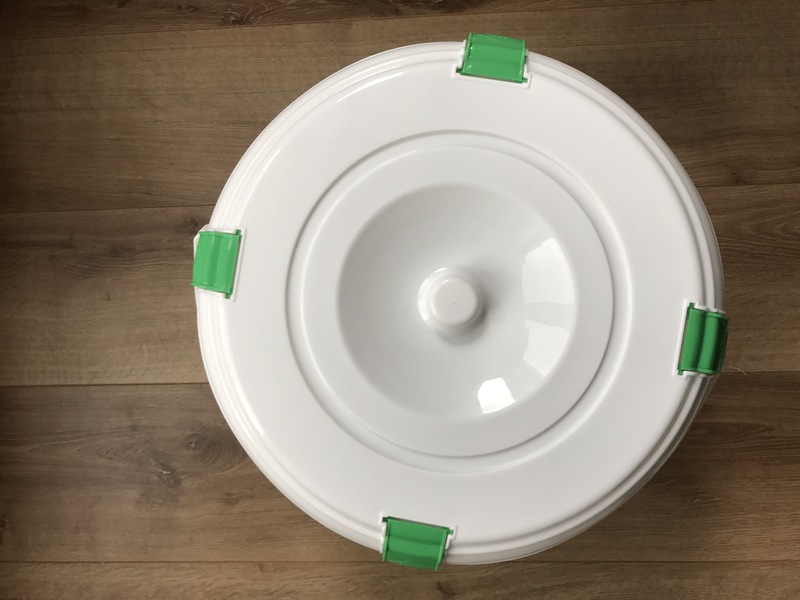 Any wet nappy goes straight in the bucket. Dirty ones, for pre-weaned babies, dirty nappies go straight in the bucket, for older babies and toddlers the poo goes in the toilet and the nappy in the bucket. I do not rinse/spray/use any water to clean it. It’s very simple! On washing day, which for us is every 2 days, I remove the mesh bag from bucket and it goes straight into the machine , no need to touch any used nappies. Into the washing machine and I start with a cold rinse. It’s important the rinse is on cold because hot water sets in stains and smells. I set my washing machine to use extra water. Washing machines these days are too efficient in washing clothes with little water. 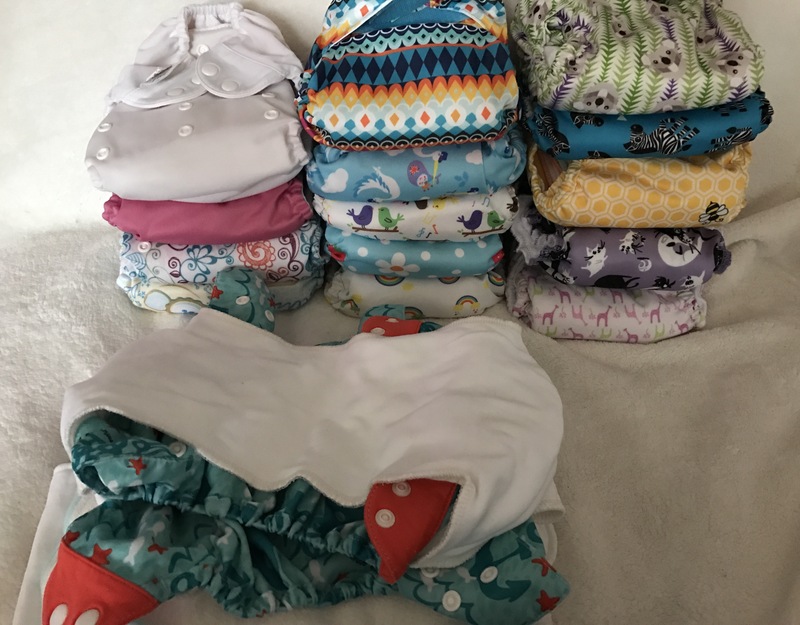 But I feel nappies need a good amount of water to get rid of smells and residual washing products , the latter in turn maintain nappy absorbency. 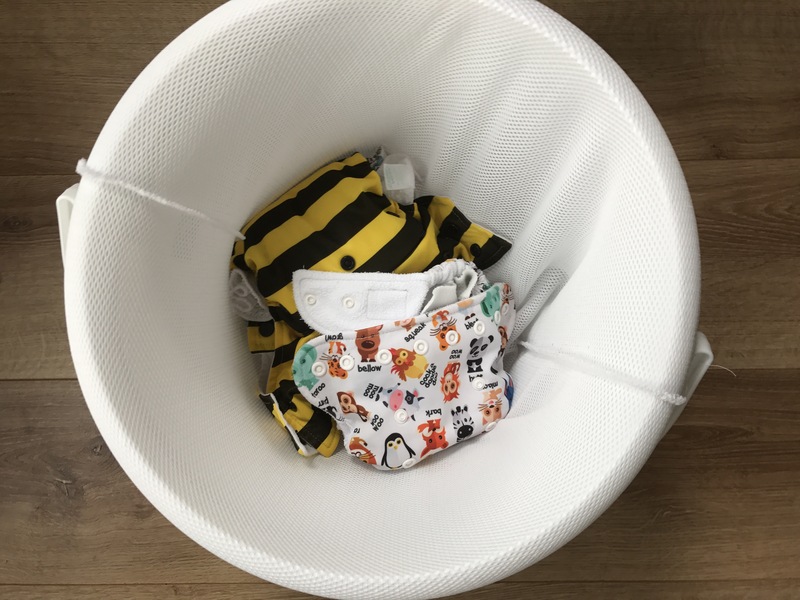 Each brand will tell you at which temperature to wash their nappies in and if you deviate from that you loose the warranty, so if that’s important to you read each care label individually. I personally wash all nappies at 60 oC , this is the temperature the hospitals wash their bed sheets here and I feel it’s right for us. I use the cotton setting which is the longest cycle my machine has. I use the recommended amount of washing powder. You might hear people say they only use a very small amount of powder to avoid build up on the nappies. I have never had this problem in the last 10 years, nappies are the dirtiest things I place on my machine so to me it needs a proper wash.
As far as brands are concerned I love totsbots potion, the parma violets being my favourite! 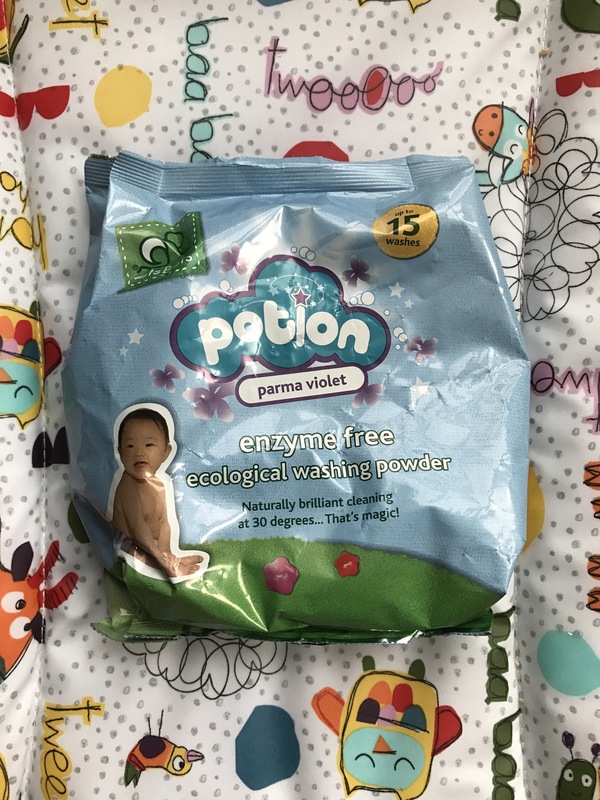 In addition to washing nappies well, it smells so lovely and as soon as the baby wets the happy you get the parma violets sweet smell… so you know when babies need to be changed. sun rays ! Yes it really does work, especially for pre-weaning poos. I could go on to talk why , the midwife in me would love too, but I will leave it for another time. I digress… Whilst sun is good, an over cast and cloudy day works just as well. If you don’t have outdoors drying space you can place the nappy near a window, it also works. Again check the individual brand. Most brands can withstand the drier as long as it is in a low temperature. I often like to do 20 minutes of tumble drying on low for cloth wipes and inserts, as they can get quite crunchy. Every now and then, especially when babies are teething, nappies can smell a bit funky. I find that doing an extra rinse before the main wash and after solves the issue. Also fresh air is great for keeping nappies smelling fresh , I like to do all year round !